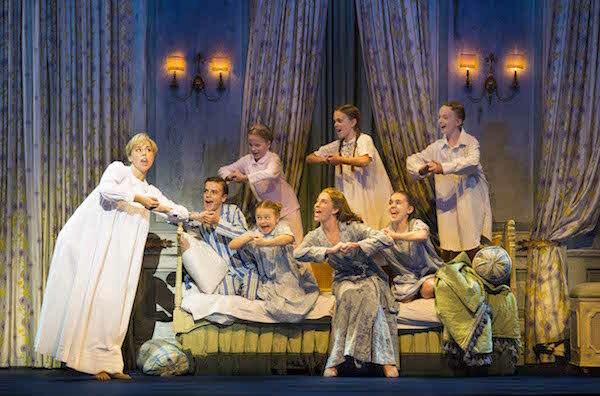 Everyone’s all time favourite musical, The Sound of Music, will continue its national tour and head to Perth this September, following sell-out seasons in Sydney, Brisbane, Melbourne and Adelaide. The lavish London Palladium production will play at the Crown Theatre, Perth from 14 September for a strictly limited season. This Australian version is produced by Andrew Lloyd Webber, David Ian, John Frost and the Really Useful Group. This new Australian tour of The Sound of Music is led by Amy Lehpamer (Once, Dirty Rotten Scoundrels) as Maria Rainer and Cameron Daddo (Legally Blonde, Big River) as Captain Georg von Trapp, starring alongside Marina Prior (Mary Poppins, The Secret Garden) as Baroness Schraeder, Lorraine Bayly (Calendar Girls, The Sullivans) as Frau Schmidt and David James (Playschool, Avenue Q) as Max Detweiler. The Sound of Music has been playing to rapturous full houses and receiving an overwhelming critical response since it opened. This acclaimed production of the legendary Rodgers and Hammerstein musical premiered in 2006 at the home of West End musical theatre, the London Palladium, where it celebrated a record-breaking 954 performances seen by well over 2 million people, before going on to enjoy sell-out seasons internationally.